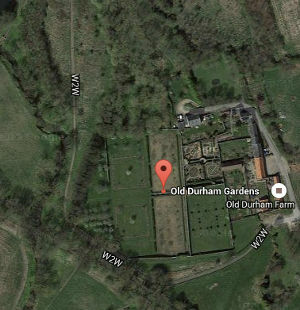 Established more than 350 years ago, Old Durham Gardens provide a charming public space for everybody to enjoy. The gardens lie less than a mile from Durham city centre, and can be reached through a number of pleasant woodland or riverside walks. The gardens are owned by Durham County Council and have since 2010 been jointly managed with the Friends of Old Durham Gardens. The rejuvenation of these historic gardens is an ongoing project, with which you are welcome to help. The Lower Gardens and orchards are open to the public at all times. In 2019, the walled Upper Garden is open on Sundays and Thursdays 2-4pm from Sunday 31st March. Entry is free at all times, although as a voluntary group, donations are always welcome. The gardens can be reached by footpath along the River Wear, or through the University Sports Fields. Access by car is restricted, as is parking at Old Durham. Bent House Lane is a single track, no-through-road with passing places, and can be entered only from the A181 Sherburn Road. Our postcode is DH1 2RY. Sunday 16th June, 2 – 4pm. Details to follow. Sunday 14th July, 1 – 4pm. Details to follow.